The National Defense Ministry’s and the Undersecretariat for Defense Industries’ budget, final account and Court of Accounts reports were negotiated on 22th November with the participation of the Minister of National Defense Mr. Nurettin Canikli and commission members at the TBMM (Grand National Assembly of Turkey) Planning and Budget Commission. The Minister of National Defense relayed detailed information to the members of the commission on the Turkish Armed Forces’ activities in 2017, delivered systems, latest status of the unique development programs and the S-400 Air Defense Missile System procurement program. Stating that they aimed for a notable increase in the 2018 Defense Budget, Mr. Nurettin Canikli underlined that in the Wales Summit of 2014, putting forth a joint will, the presidents and heads of the governments of the NATO countries committed that 2% of the Gross Domestic Product would be allocated to defense expenditure and 20% of the defense expenses would be allocated to the defense industry’s procurement programs. Mr. Canikli continued: “Independent from NATO’s targets, due to the threats and challenges we have been experiencing, increasing our country’s defense measures and modernization activities stand out as an immediate and compulsory necessity. Therefore, a significant increase in our defense budget is foreseen for 2018. The ratio of Turkey’s defense expenditure to the gross domestic product was at the level of 1.47% in 2016. In 2017, this percentage was 1.46. Taking the budget plan for 2018 into consideration, increasing the level of this expenditure to 1.65% is envisaged.” While replying to the questions from the commission members, Mr. Canikli particularly stressed that they aimed to increase the defense expenses to 2% by 2024. “According to the NATO Defense Planning Capability Survey, the rate of Turkey’s main weapon systems expenditure to defense expenses were 25.59% in 2016 and this level is expected to increase to 30.40% in 2017. The necessity of increasing our defense expenditure arises from the requirement of achieving a stronger army through domestic and national equipment due to the risks and threats our country faces rather than the commitments made to NATO”. 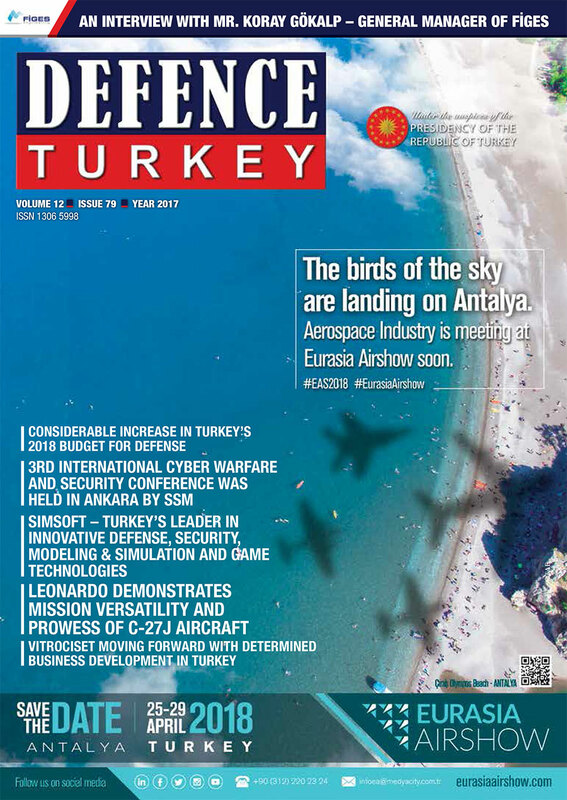 Stating that upon Turkey’s written request to NATO in the beginning of 2013, Patriot and SAMP/T Air and Missile Defense System batteries were positioned in Adana and Kahramanmaraş, Mr. Canikli noted that these temporary solutions failed to suffice in fulfilling the air defense demands of the country and as a result of the assessments made in this context they adopted certain strategic decisions. Underlining that Turkey’s urgent requirements in this area could not be left to the initiatives of other countries, Mr. Canikli added that a contract was signed with Russia for the procurement of S-400 air defense systems as a result of the long negotiations within this framework, that the first advance payment was made and the sales transaction as part of the procurement program was finalized. Replying to the question from the commission members on how many systems were bought, Mr. Canikli stated that as part of the contract two S-400 Air and Missile Defense Systems (1 optional) would be procured and that the delivery of the first system was planned to be accomplished within 2019. Upon the questions from the commission members, Mr. Canikli added that 2 systems would be procured and that $2.5 billion would be paid. Mr. Canikli stressed that the systems would fully be under Turkey’s control and that following this procurement the second phase covered joint development including the technology transfer. Not much detail was given on the procurement process, financing and the systems to be procured during Ministry of Defense Mr. Nurettin Canikli’s statements at the Commission. However, a month later these statements, the Russian press asserted critical claims regarding the subject. Speaking to Russian Kommersant journal on 27 December, President of the Russian Defense Company Rosteh Sergey Chemezov declared critical information on the systems to be procured and the process. Mr. Chemezov: “Turkey will be procuring four S-400 Air and Missile Defense System batteries and will be paying $2.5 billion for these systems. The negotiations on the loans to be granted to Turkey for the procurement of these batteries have been completed as well. Only the documents need to be verified for the time being. I may state that 45% of the contract would be paid in advance and the remaining 55% would be paid with the loan granted by Russia.” Mr. Chemezov also added that they planned to conduct the delivery of the first S-400 to Turkey on March 2020. Only hours after this statement, Turkish party also made a statement on the finalization of the contract. Minister Mr. Nurettin Canikli: “Hürkuş was armed as per the requirements of the Gendarmerie. We accomplished the delivery of the first jet and the test and integration activities for the second jet are on course, soon we will be delivering that as well”. Giving additional information to the commission members on the critical developments that took place in the defense industry in 2017, Mr. Canikli stated that the main objective of the defense industry was to turn Turkey into a global player in defense and security areas with unique design and high end technology capabilities. Enlightening the commission members on the latest status of the ongoing development and mass production programs in the Turkish Defense Industry, Mr. Canikli said, “The acceptance of the 2 prototype Basic Trainer Aircrafts as part of the Hürkuş-A Project has been accomplished. These prototypes were armed and we delivered the first aircraft to the Gendarmerie General Command for counter terrorism activities. ‘Hürkuş’ was designed fully as a training aircraft in the beginning but later it was armed for fulfilling Turkish Armed Forces’ emerging immediate requirements. The test and integration stage of the second aircraft is about to be completed and we will be realizing its delivery within this year as well. Within the scope of Hürkuş-B Project, we will be fulfilling our Air Forces Command’s Training Aircraft requirements. The production, system integration and ground tests of 15 aircrafts are on course to this end. Stating that “Atak” Helicopter was the most effective attack helicopter in its category according to global standards, Mr. Canikli noted that within the scope of the ongoing mass production program conducted within this scope, 25 T129 “Atak” helicopters were delivered to Land Forces Command (as of December 2017 this figure reached 27). Mr. Canikli added that as part of the program 61 more T129 “Atak” helicopters were to be delivered to the security forces. Mr. Canikli also stated that they launched the “Atak-2” Project for the development of a new “Atak” helicopter equipped with the most modern national systems and increased fuel and ammunition capacity with the target of achieving a fully unique design and production. Sharing the updated information on the procurement process of the national UAV systems with the commission members Mr. Canikli said, “In order to execute reconnaissance – surveillance, target and damage detection activities during the night and day in the requested critical regions, we started to include the “Bayraktar “TB2 Tactical UAV System in our military’s inventory since 2015. Presently, these systems have the capabilities to neutralize the mobile and fixed targets with the help of mini smart ammunition. The rate of local participation achieved at this point reached 96% and this level makes us proud. To this end, procurement of a total of 151 UAVs is planned and 112 of them will be armed UAVs. For the time being, the delivery of 38 “Bayraktar” UAV systems has been completed and 15 of these systems are armed. Mr. Canikli: “Our activities as part of the MILGEM Project continues at pace. Our TCG ‘Heybeliada’ and TCG ‘Büyükada’ corvettes have been commissioned. The equipping of our third corvette TCG ‘Burgazada’, which we launched to sea last year, continues as well. We will have this corvette ready for operation in 2018 with all its equipment and weapon systems installed. The fourth ship of our Ada class MILGEM corvettes, TCG ‘Kınalıada’, will be availed to the service of our army in 2020 and its construction continues. The fifth vessel of the MILGEM Project composed of 8 fully uniquely designed ships, the Istanbul frigate’s initial welding was accomplished on July 3, 2017 with the participation of our Dear President. The block construction and slipway installation activities of this frigate are on their course. Moreover, we launched the construction of 6 New Type Submarine Projects at Gölcük Shipyard Command. The construction of our initial vessel has been completed and its installation activities have been launched. We believe that these experiences we acquired will be a strong reference for the indigenous and national submarines aimed to be built as part of the unique submarine program (MILDEN). Mentioning that the tests of the Altay Project composed of the design, development, prototype production, test and qualification of the Modern Main Battle Tank through national resources were completed successfully, Mr. Canikli stated that they launched a tender for the mass production of 500 tanks (250 optional) and that the final proposals were submitted to the relevant authorities on November 2017. Mr. Canikli noted that after the evaluation of the proposals, they wished to conclude the tender process in the forthcoming days. Mr. Canikli also noted that they successfully completed the delivery of the “Khan” missile which is a long range ground to ground missile system, and the firing test of which was achieved on 11 May 2017 in Sinop and the missile was successfully tested in a range of 280 km. Mr. Canikli added that they expected the acquirements achieved as part of this program would provide crucially to the other air defense missile systems. Upon the completion of the briefing, the budget plan of the Ministry of National Defense for 2018 was submitted to the commission. According to the budget plan submitted to the commission by the Ministry of National Defense, the 2018 Budget for the Ministry is foreseen as 40 billion 402 million 238 thousand TL (est. $10.6 billion). Approximately 50 percent of the aforementioned budget, that is 20 billion 329 million TL (est. $5.34 billion), is expected to be composed of the goods and services procurement expenses including modernization projects. 13.8 billion TL (est. $3.63 billion) of this figure is planned to be allocated for the requirements as part of Turkey’s Strategic Target Plan – 2018 Modernization Program. The remaining 6.5 billion TL is planned to be allocated to the Turkish Armed Forces’ legal rights stipulated by the laws such as accommodation, nutrition, and clothing of the TAF’s personnel in addition to the procurement of consumption goods and services such as fuel and transportation. 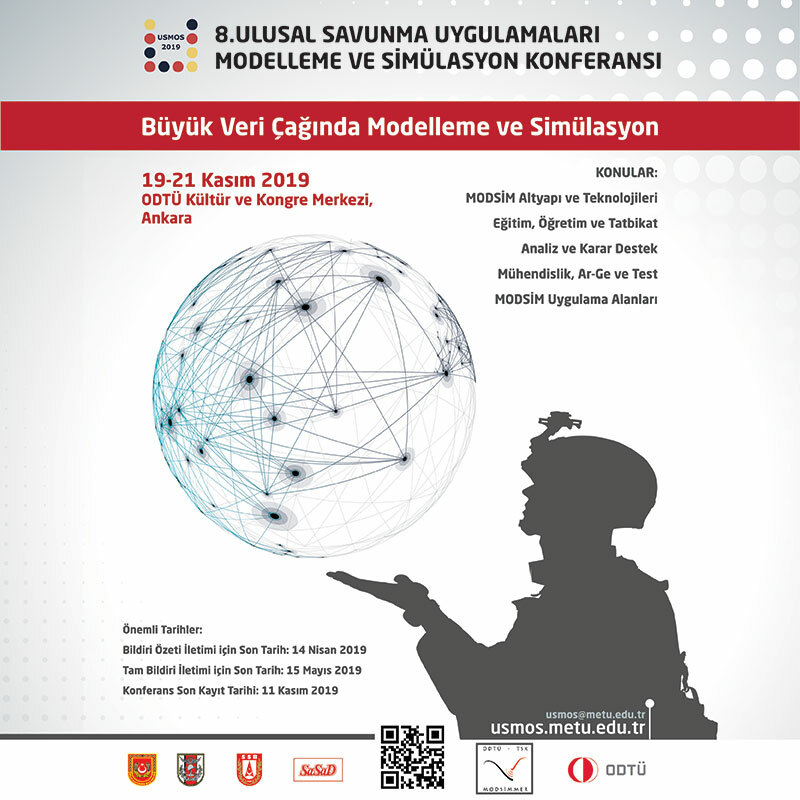 Apart from the Ministry of National Defense’s yearly budget, there is also a Defense Industry Support Fund under the disposal of the Undersecretariat for Defense Industries, established for the modernization of the Turkish Armed Forces. This fund’s budget for 2018 is expected to be 15 billion TL (est. $3.94 billion). Upon analysis of the breakdown of the fund revenues of 2018, this fund is expected to be composed of the tax revenues collected from 11.9 billion TL from income and corporate taxes, 291 million TL from inheritance and transfer taxes, 2.7 billon TL from motor vehicles tax. It is possible to speak of a profit maximizer fund when the Defense Industry Support Fund’s 2017 and past years balance of income and expenditures are analyzed. With this expectation, for 2018, in addition to the 15 billion TL expected from the taxes (est. $3.94 billion), with the surplus value of the past years, a fund income quite over this figure will be created.